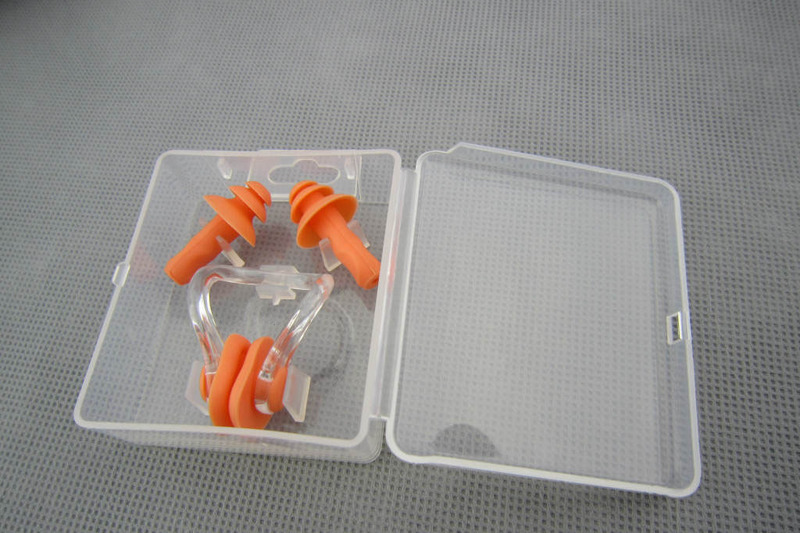 The earplugs are made of soft silicone, non toxic, odor free, BPA free, water proof, ergonomic design, comfortable accessories to wear, perfectly fit into any ear canal with flexible silicone base. 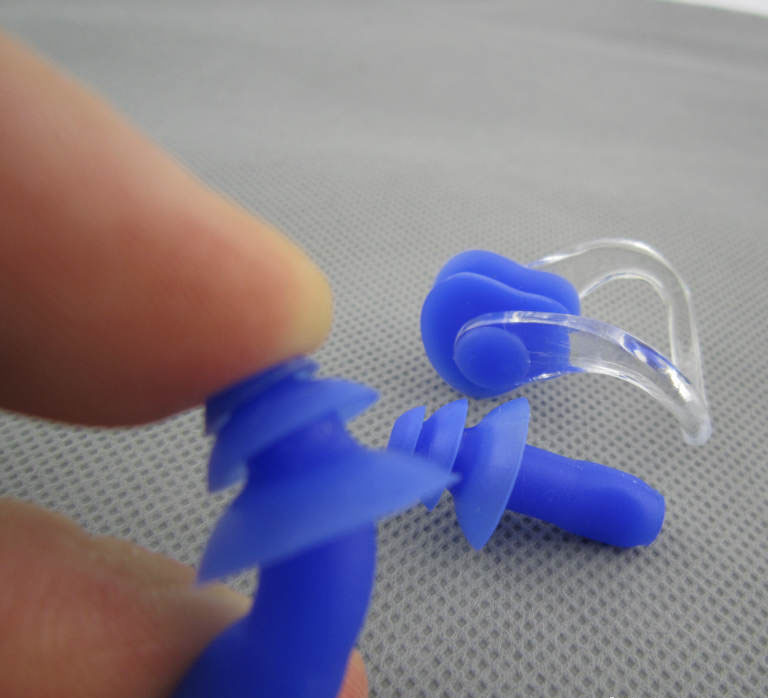 Flexible and pliable, easily fit your ears and nose, will not fall out, easy to put in and remove, cause no pain or irritation, even during prolonged use. 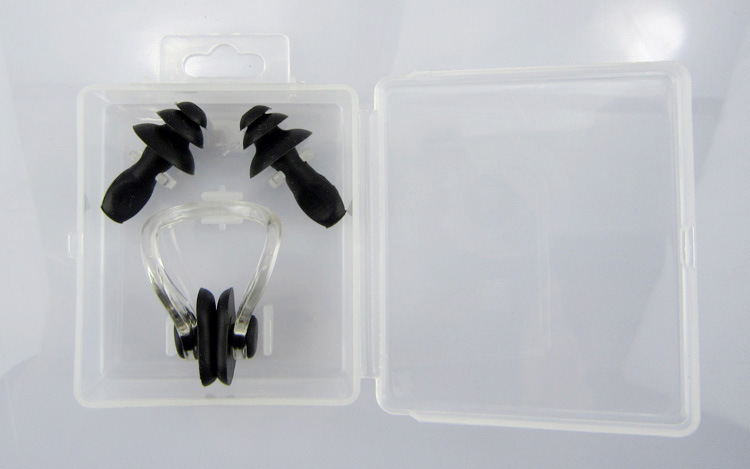 Essential professional training equipment for adults, fit small to large ears, can be used for boys, child, teens, mens, women, youth. 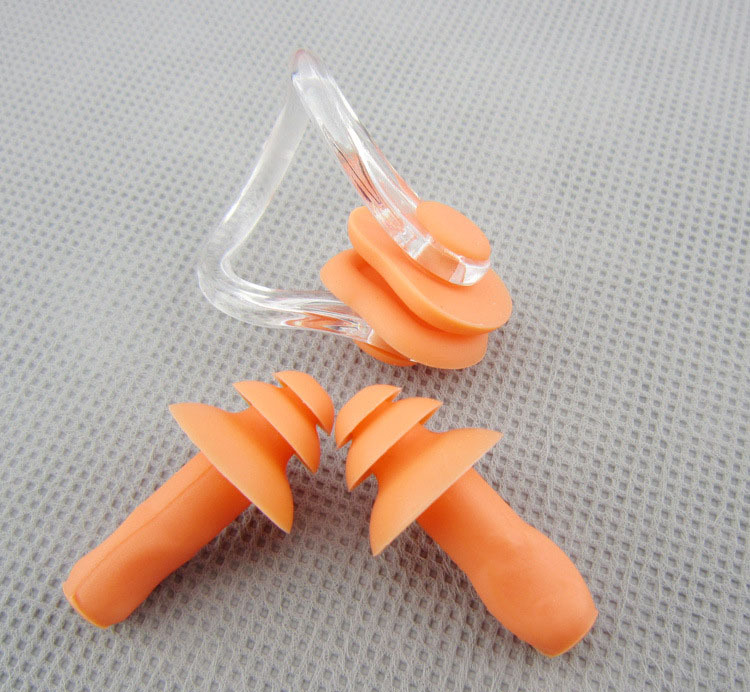 Great adults silicone earplugs and nose clip set for swimming, diving, kayaking, and shower, prevent your ears from infection, secure your health. Block high and medium level noise, protect your peace, suitable for sleep, and ambient noise. 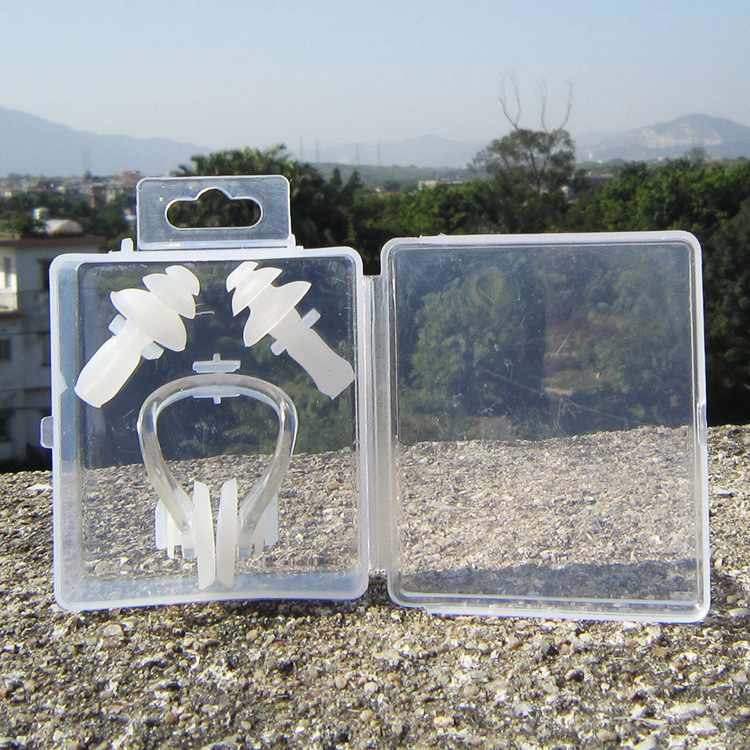 Individual use, perfect for traveling to the pool, lake or beach. 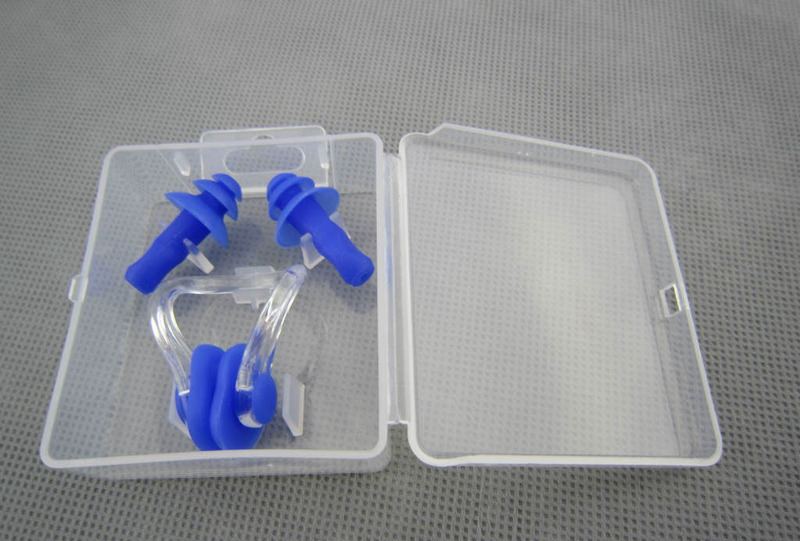 Each set kit comes in a clear plastic box, easy to storage and access. 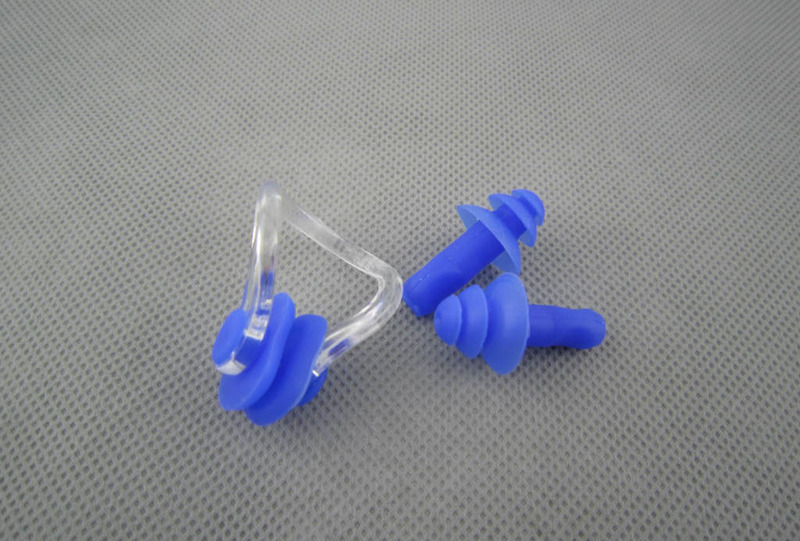 Looking for ideal Soft Waterproof Ear Plug Nose Clip Manufacturer & supplier ? We have a wide selection at great prices to help you get creative. 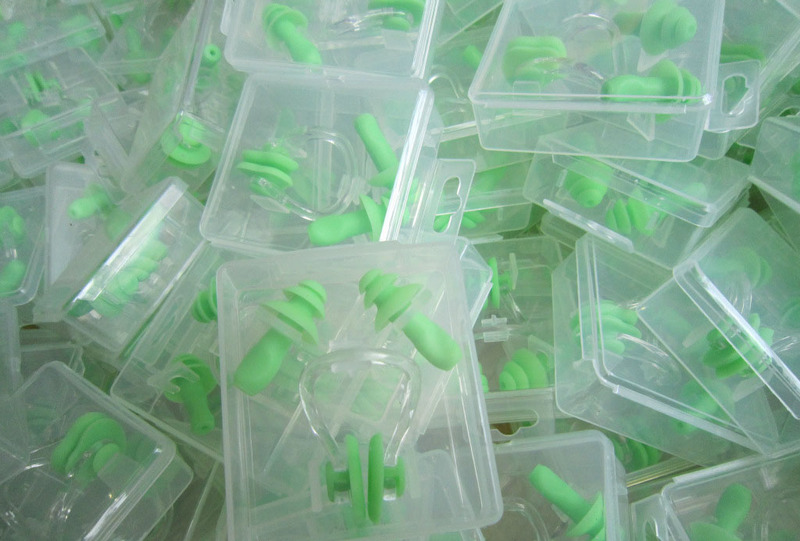 All the Sound Proof Silicone Ear Plug are quality guaranteed. 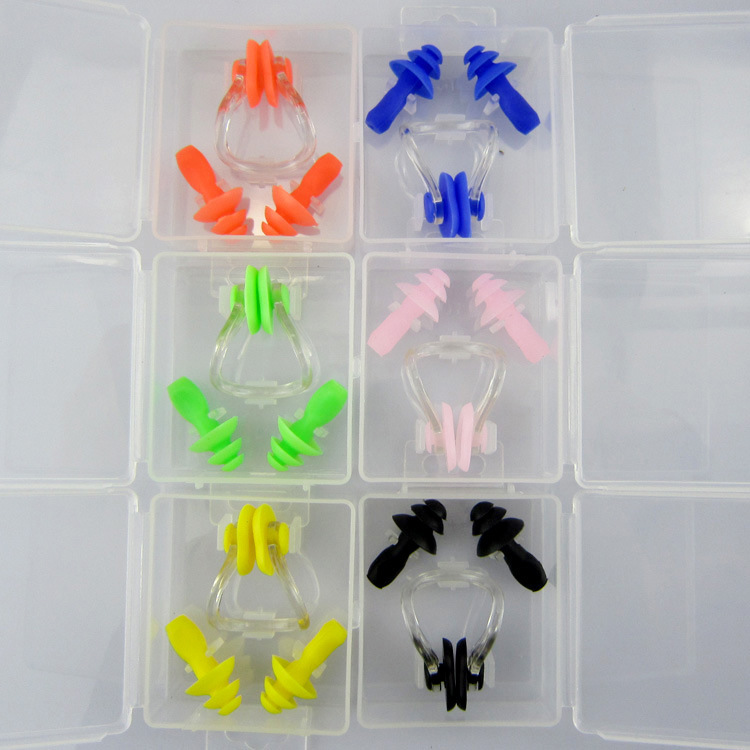 We are China Origin Factory of Swimming Earplug Nose Clip Set. If you have any question, please feel free to contact us.